Please note: This post contains personal recommendations and therefore is an advertisement, however, it is not sponsored. If you’re planning a trip to Thailand then you probably stop in Bangkok, because there aren’t direct flights from far destinations to islands like Koh Samui or Phuket. What you should definitely do is planning two or three days more to your vacation and explore Bangkok to the fullest. Why? Because it’s a gigantic metropole with so many cool places to see! 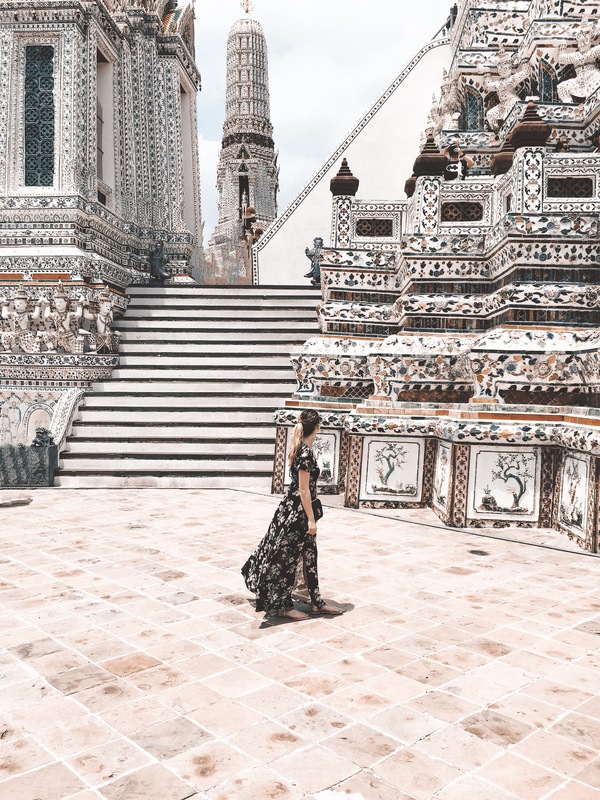 When my Boyfriend and I were flying to Thailand we had one and a half day to explore the capital city and I’ll show you how to put the most out of this short time! 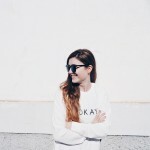 CLIMATE & BEST TIME TO VISIT: Tropical climate with an average of 28 degrees all over the year. Rainy season is from May to October with heavy monsoons. Dry Season is from November to April. SAFETY: As in every big city you should be aware of pickpockets and frauds. You also should avoid bars and restaurants of lower categories especially in the nights. For further information please read the safety instructions that your foreign ministry is providing. HOW TO GET THERE: By plane with mostly direct flights to Bangkok. Depending on when your plane is arriving at Bangkok you have one full or one half day on your first day to start exploring Bangkok. Me and my Boyfriend landed at 12am local time and checked in our hotel about one and a half hour later at 2pm. I definitely recommend you booking a hotel with a pool as it can get very hot in Bangkok and it’s the only way to get a refresh. There are many hotels that have a rooftop pool which is perfect for getting the very first impression of this big and impressive city. So, going up to the rooftop pool was the first thing we’ve done in Bangkok. We enjoyed the breathtaking view and relaxed a bit after the long flight. The hotel we stayed in was the Amara Bangkok. In the late afternoon we had something to eat and then we prepared for visiting the sky bar at Lebua State Tower, the most famous sky bar in Bangkok where “Hangover 2” was filmed. There will be a more detailed review about this bar soon on the blog! I recommend getting to the bar BEFORE sunset, that means you have to take a taxi at least half an hour or 45 minutes before the sunset as the taxi ride can take up to half an hour or more depending on the traffic (which is crazy in Bangkok!). Now you can enjoy your first evening in Bangkok from above the city! You can also visit The Grande Palace and many other temples, but we were pleased with the two temples mentioned above. Visiting China Town was also on my list, but when we were going to the first temple by taxi we drove through this specific street and found it to be not as cool as expected. We also decided to do a Tuk Tuk tour as it is so typical for Bangkok and actually a must-do when you’re there – BUT be careful about it, as all Tuk Tuk drivers belong to a mafia network and they all try to fob you. Unfortunately it happend to us too, although I knew about the frauds of the Tuk Tuk mafia. You can read the full story soon on my blog. After the adventurous Tuk Tuk tour we went for lunch and we just stopped by a small restaurant were we passed by. You should know that food in Bangkok is incredibly cheap – and very delicious! We decided to go back to our hotel as we were a bit tired because we walked and have seen a lot. 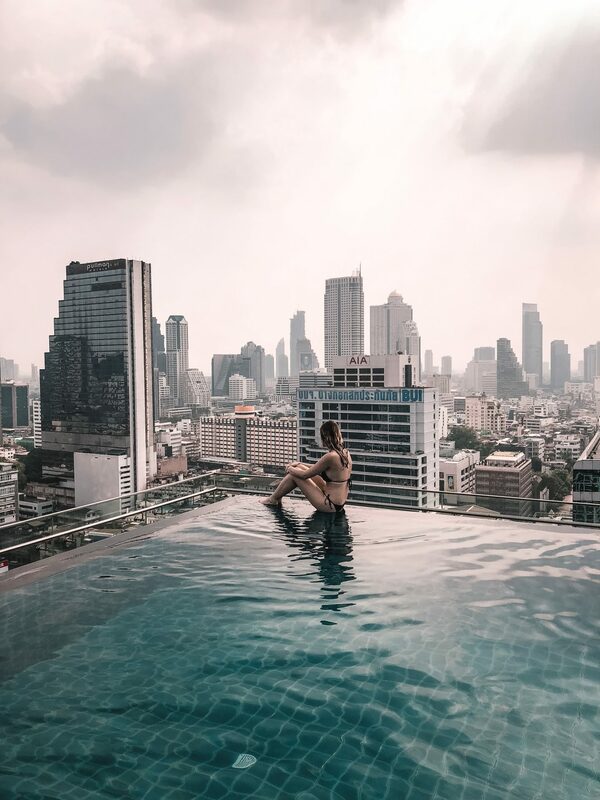 We relaxed at our hotel’s rooftop pool and in the evening we went to a street market that was near the hotel – that is also a must when you’re in Bangkok! We were very satisfied with our short stay in Bangkok and got a very good impression of the city and its culture. 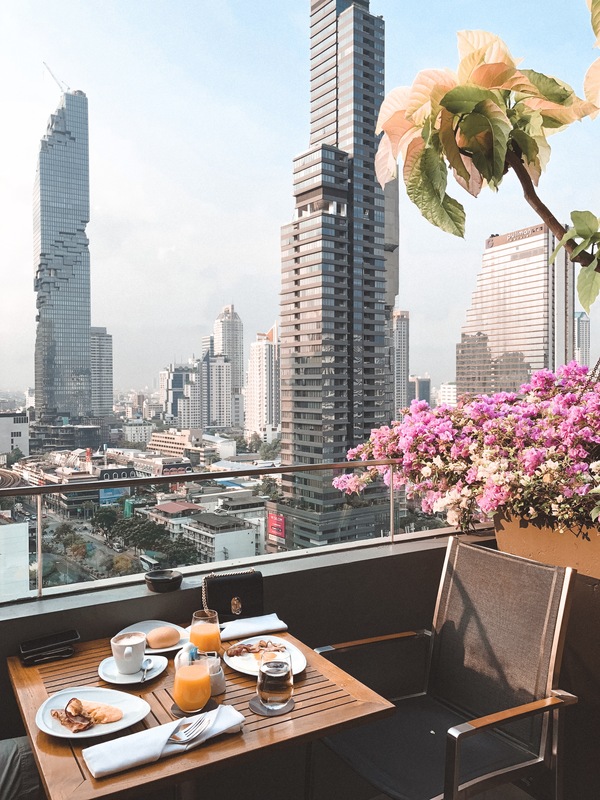 Of course there is so much more you can do in this big city, but this itinerary is perfect for all those who want to stay only 2 days in the capital of Thailand before you head to your next destination! If you now want to go to Bangkok, you can use this link and save 10% on your entire booking on booking.com. Aaaww wow Bangkok looks so awesome! And it seems like it’s even worth it for 48hrs – loved your impressions dear!